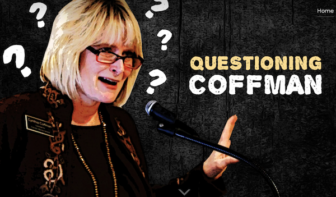 This website from Real Colorado Conservatives is attacking GOP gubernatorial candidate Cynthia Coffman. The big bucks in the Colorado governor’s race are a big deal in advance of Democratic and Republican state assemblies this weekend. Some candidates are already on the airwaves when they aren’t yet on the ballot. And at least one Republican independent expenditure committee is airing ads. Another related IE is attacking one of the GOP candidates. Better Colorado Now is airing radio and TV ads supporting Republican Treasurer Walker Stapleton’s bid for governor. Stapleton raised eyebrows by helping raise cash for the IEC before getting into the contest. Donors include Broncos GM John Elway, members of the Bush, Coors and Anschutz families and a range of business interests. The committee raised more than $800,000 in 2017. Real Colorado Conservatives is opposing “Cynthia Coffman and every Democratic candidate for governor.” That’s probably mostly the former, based on this site bashing GOP Attorney General Coffman. The group registered in mid-March, so won’t have to report where the money is coming from until May 7. But the address listed for the group in corporate documents is a home owned by Better Colorado Now director Andy George. Frontier Fairness PAC is supporting Democrat Michael Johnston, a former state senator. It raised $420,000 in 2017, and former New York City Mayor Michael Bloomberg is reportedly kicking in $1 million. Build Colorado’s Future is supporting Republican investment banker Doug Robinson and raised more than $100,000 in 2017. Stronger Colorado Ahead is supporting Coffman’s bid. That group raised nearly $160,000 in 2017. Bold Colorado formed in January to support Democratic Congressman Jared Polis, according to former Colorado Democratic Party Chairman Rick Palacio. That group’s initial donors will be revealed in May, as well. The proliferation of IECs and wealthy candidates drove three contenders from the race, including former GOP Congressman Tom Tancredo. Tancredo said he’d hoped to garner support from those affiliated with the conservative Breitbart News Network after an initial meeting with Steve Bannon, the former Breitbart chairman and former adviser to President Donald Trump. “I had hoped, although (Bannon) had never promised me a penny to tell you the truth, we hoped that was where we’d get an IEC formed… through Breitbart contacts,” Tancredo said. That didn’t work out when Bannon left Breitbart following the publication of “Fire and Fury” by journalist Michael Wolff. In it, Bannon was quoted criticizing Trump and his family. Depending on who ends up making the gubernatorial ballot, expect other independent spending groups to pop up before the June 26 primary and after.